When the war broke out with Soviet Russia in November 1939, the Finns were severely lacking in armor and tanks. 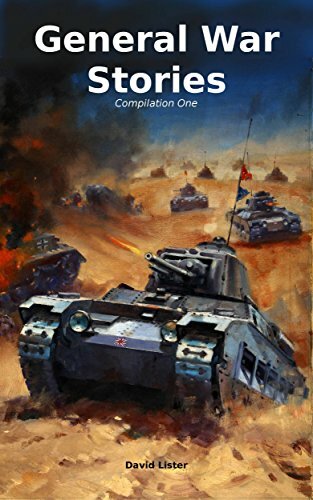 Besides antitank weapons, their only fighting vehicles were French-origin Renault FTs of WWI fame, modified and named “Koiras” and “Naaras” (machine gun and gun versions) and 26 Vickers Mark Es, of which only 12 actually got to fight. However, the Finnish tactical excellence on the field allowed them to destroy or capture scores of Russian tanks. Among others, they managed to capture around 56 BT-7s in various conditions, some being abandoned in almost perfect condition, while others were repairable on a short notice. The Finns had previously received a shipment of vintage QF 4.5 in Mk.II howitzers from the British, renamed 114 Psv.H/18 in Finnish service. Due to the inadequacy of captured tanks (which were of prewar design, lightly armed and protected), some officers expressed the idea of converting some with these spare guns, in order to have the necessary firepower to match better armored Soviet tanks. 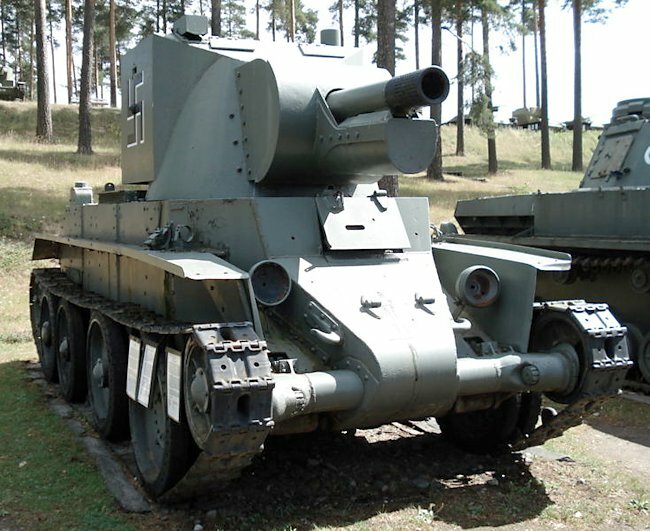 The BT-42 (from the year of acceptance of the model) was essentially a turretless BT-7, fitted with a brand new turret housing the 114 mm (4.48 in) howitzer. 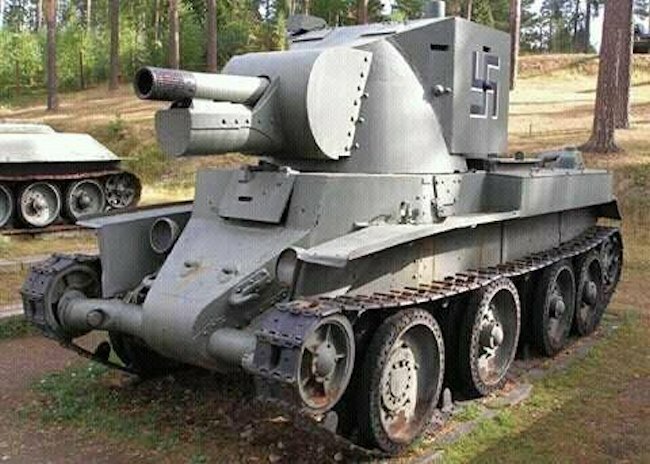 The concept was influenced by the KV-2 and BT-2, BT-5 and BT-7 prewar infantry support conversions. The turret was tall and wide, and the massive recoil mechanism was protected by an armored mantlet. The turret armor thickness was limited to just 16 mm (0.63 in) and assembled by rivets and welding. Two doors were mounted on the rear to allow easy access. Vision was possible through four vision slits, but there were no periscopes nor a commander cupola. In all, 18 vehicles were converted and pressed into service in early 1943. The first engagement came during the Continuation war, on the Svir River, and the BT-42s performed relatively well against enemy pillboxes. They were later confronted with Russian T-34s and scored no penetrations, even at dangerously close distances, while being destroyed in the process. After the reports, the Germans sent HEAT rounds for local production under licence, and the BT-42s were fielded with a provision of these. They were deployed again to counter the major Soviet offensive of 1944 around Vyborg. They scored no kills, whereas eight of the nine deployed were destroyed. One of the BT-42s hit an advancing T-34 eighteen times, without stopping it. 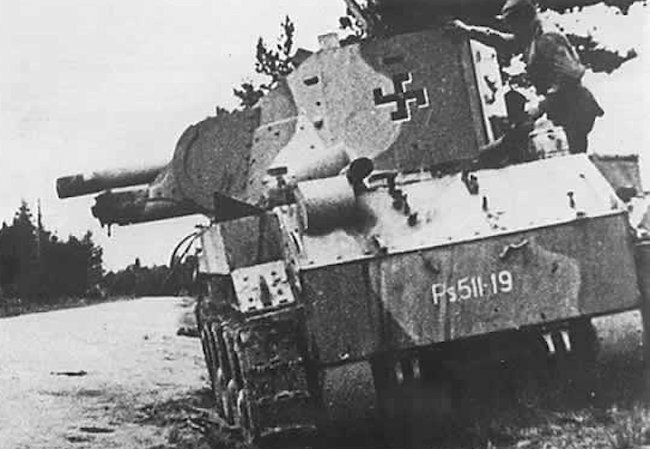 After Vyborg, the remaining BT-42s from the Finnish Detached Armour Company were disbanded, and replaced by newly-arrived German StuG IIIs. The BT-42 was a quite desperate conversion, woefully adapted to the BT-7 hull. It was mediocre in every direction, and unpopular with its crews, for obvious reasons. First, the howitzer’s poor performances proved totally inadequate against fast-moving, slope-armored Soviet tanks. The tall turret was partly assembled with rivets which any non-penetrating impact could turn into deadly shrapnel. Vision was very poor, and the rear doors (instead of armored hatches) proved as weak as if there was nothing at all to protect the crew. Most of all, the very high profile made the BT-42 an easy target, aggravated by a weight surplus (the gun itself was one ton heavier than the original intended armament), which diminished both performance and mobility in the field. Plus, since it was top-heavy and higher than wide, the BT-42 had stability issues. The suspension and transmission were over-stressed, which proved critical for maintenance. Last but not least, the turret was cramped and the effective supply of rounds (which were old-style artillery two-pieces shells) was severely limited at best. Supply vehicles were needed in order to operate properly. In addition, there was no close-defense machine-gun. A Finnish BT-7 for comparison. About 56 had been captured in good condition following the “Winter War”. BT-42 in the typical Finnish three-tone scheme. 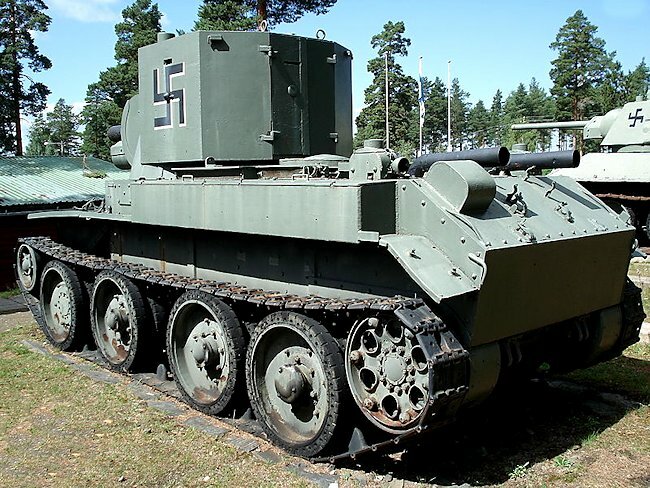 BT-42 Assault Gun (Finnish Army No. Ps. 511-19) with three colour camouflage. Rear and side view of the Finnish Army BT-42 tank at the Parola Tank Museum. Finland had even 26 vickers mark E with mark F turret. 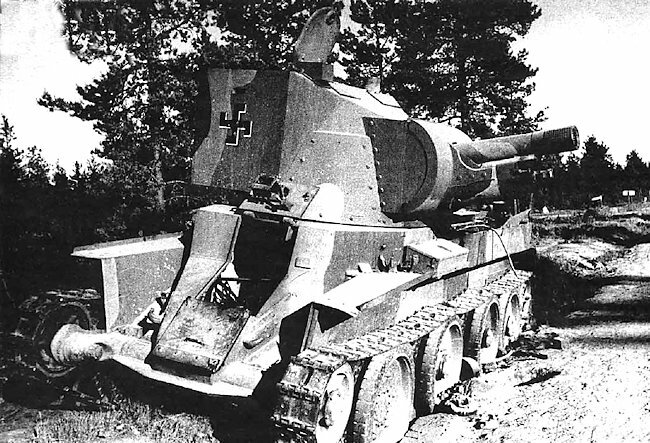 In maj 1936 Finland order 32 vickers mark E without guns. They think too have 37 mm bofors gun insted. Only one was complet with gun and a coupel of them go out to war without gun. They took lots of T 26 and prefer them more than BT 7. They took even 45 mm guns from them an put in to wickers tank and name them T 26E. You can read more in this exellent side. We talk about the Finish Vickers Mark Es on the page of that vehicle! Problem with the HEAT rounds designed for the BT-42 is that they did not take into account the differences in muzzle velocity, and round spin rates between guns when copying the German HEAT design. The rounds never armed themselves properly. Had the fuses been properly designed the BT-42 would have probably fared quite reasonably vs the T-34.